New York City will likely pay $2 billion to settle claims that the nation's largest public housing agency has too often left tenants to contend with lead paint, malfunctioning elevators and rats. Andrew Siff reports. New York City will likely pay $2 billion to settle claims that the nation's largest public housing agency has too often left tenants to contend with lead paint, malfunctioning elevators and rats. The city agreed in a consent decree in Manhattan federal court to pay $1 billion over four years and $200 million annually until problems are overcome. The deal also calls for the appointment of a monitor to oversee the city-run public housing authority during the 10-year span of the agreement. “NYCHA fails to provide “decent, safe, and sanitary” housing because of systemic lead-paint violations, pervasive mold, widespread lack of heat in winter, infestations of rats, mice, and roaches, and chronic elevator outages in high-rise buildings,” according to the U.S. Attorney's Office complaint against NYCHA. The news comes more than six months after the first scandal erupted that NYCHA has failed to conduct mandatory led paint inspections. The consent decree says the New York City Housing Authority admits wrongdoings including not complying with lead regulations or telling the U.S. Housing and Urban Development about children with elevated levels of lead in their blood. The NYCHA also admits to underreporting cases of mold, having hundreds of thousands of insufficient heating complaints, malfunctioning elevators, pest infestations, a backlog of work orders and providing staff with "quick fix tips" to improve HUD inspection scores. According to the decree, some of these tips included replacing damaged ceiling tiles with "painted cardboard." “The problems at NYCHA reflect management dysfunction and organizational failure, including a culture where spin is often rewarded and accountability often does not exist,” the U.S. Attorney's Office complaint says. 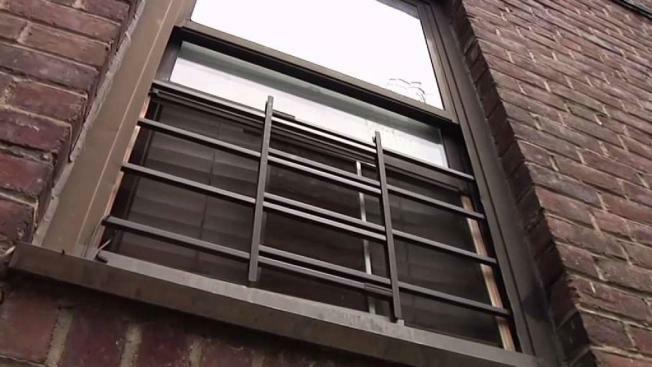 The settlement calls for federal monitoring to oversee the fixes and that there will be money allocated to resolve these issues, U.S. Attorney Geoffrey Berman said in a Monday press conference, adding that the NYCHA's actions have put families at risk. In a seperate press conference Monday afternoon, Mayor Bill de Blasio said when he heard that NYCHA workers were trying to trick HUD inspectors, he felt sick to his stomach. As a result of the settlement, NYCHA will now have to create three new departments: one for compliance, one for environmental health and safety, and one for quality assurance. According to Berman, the issues are not a result of federal funding, but of NYCHA mismanagement. However, de Blasio contended that mismanagement is the issue, but rather the lack of funding is to blame. Though the U.S. Attorney's Office agrees not to seek criminal charges against NYCHA, Berman said there is a chance that individuals could be prosecuted. Paul Compton, the general counsel at the United States Department of Housing and Urban Development, said that the agreement between NYCHA and the state of New York is the first of its kind for HUD. The agency's operating budget is $2.3 billion for public housing where nearly 400,000 low- and moderate-income residents live. Tenants pay an average of $522 a month in rent, with the U.S. Housing and Urban Development subsidizing the rest. While Blasio blamed the issues on previous administrations, he also acknowledged the federal investigation found rampant misconduct in the past five years as well. "We can't hold ourselves blameless either," he said. In an initial statment following the settlement, de Blasio said that “decades of divestment by the federal and state governments and decades of neglect by New York City government have pushed our public housing system to the brink," adding that “by further acknowledging and providing solutions to a decades-old pattern of mismanagement, divestment and neglect, I am confident this settlement will be a turning point for our public housing system."